KAMLOOPS, B.C. -- Ranchers in the centre of British Columbia's cattle country are facing "heartbreak" as they return to scorched fields, dead livestock and damaged infrastructure following weeks of wildfires. Kevin Boon, the general manager of the B.C. Cattlemen's Association, said the process of tallying losses has just begun and could take some time because the extreme heat of the wildfires would leave little evidence of carcasses. He said it's expected hundreds if not thousands of cattle were killed or injured by the fires. "The devastating part is done, and now the work really does begin," Boon said Tuesday. "(The ranchers) have got a lot on their plate right now and the more that can be done to help them is going to be key to their ability to bounce back from this." Kilometres of fencing, equipment and infrastructure such as barns built over generations have been lost in some cases. Boon said the association is already working to replace fencing burned along major highways to prevent cattle from wandering into traffic. An estimated 377,000 hectares of land has been burned this season, and scorched fields mean ranchers will need to find other sources of feed. Boon said he's working with ranchers to find opportunities to relocate some of the cattle for the short term in northeast B.C. 's Peace region where conditions have been wetter. The devastation is expected to take an emotional toll on ranchers who have seen their livelihoods disappear in an instant, Boon said, adding it will continue to have long-term effects beyond the immediate costs of rebuilding. The fires have disrupted breeding season, meaning calving next spring will be delayed or significantly reduced, he said. While damages were being calculated, ranchers and communities remained on alert, bracing for the potential of more fires this summer. "At any given time, a lightning event or some more hot dry weather like they're predicting is going to create that atmosphere for more fires, so where is the next one and with what severity?" Boon said of the focus of ongoing emergency planning discussions. For the first time, the cattlemen's association is working directly with emergency response crews, a change Boon said has helped mitigate the extent of the losses by allowing some ranchers to return to their properties to protect them. Some ranchers have said their operational losses could be as high as $3 million due to the fires, so it's not surprising that a number of them have evaded evacuation orders to stay behind and defend their livelihoods, Boon said. Boon said he's encouraging ranchers and others to irrigate their fields to make them less vulnerable to future fires. He's also asking the government to support ranchers and rural-based industries such as forestry and mining so they can rebuild once the fire season is over. "It's a matter of how do we pull them out of their low," Boon said. A spokeswoman for the federal Agriculture Department said ranchers can access a number of disaster response programs at the provincial and federal levels. Federal Public Safety Minister Ralph Goodale announced on Saturday that the costs to rebuild will be shared by provincial and federal governments. About 19,000 people who were forced to leave their homes due to wildfires remained displaced Tuesday, and fire officials warned that more winds are anticipated for southern parts of the province on Wednesday and Thursday. 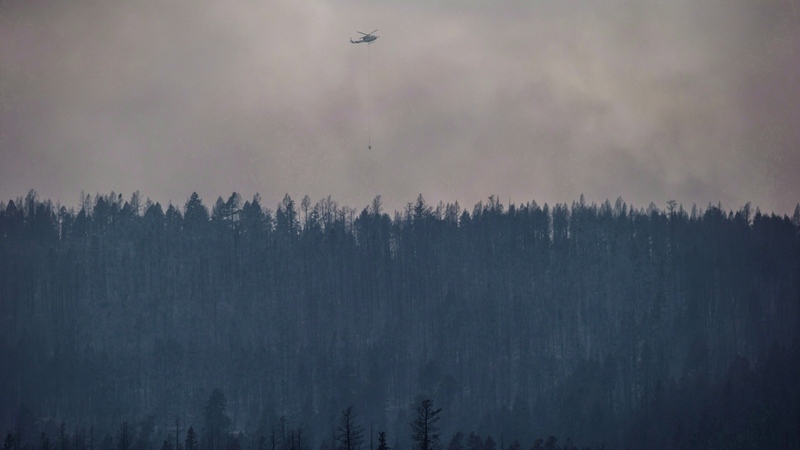 Despite the concerns, Williams Lake Mayor Walt Cobb said the city is ready to welcome thousands of residents home, as soon as fire officials give the OK.
About 10,000 people from the Interior city had to leave more than a week ago when flames from several wildfires threatened to cut highway access. Chief fire information officer Kevin Skrepnek is warning those heading home to remain vigilant and have an emergency plan ready if they have to leave again. He said the worst fires typically occur at the end of July and warm temperatures with a chance of lightning in the days ahead could cause flare-ups.